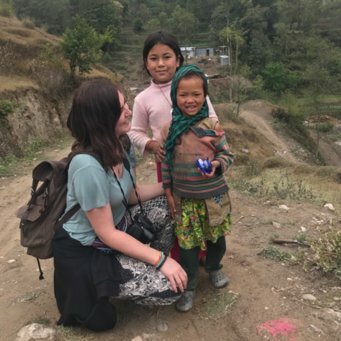 The two words that immediately spring to mind when I think about my month in Nepal are adventure and laughter. I left the UK in March 2012 with my friend and arrived in Pokhara, Nepal. The year in Nepal was 2068. We had travelled half way around the world, and into the future, but it felt like we had travelled back in time! We were greeted at the airport and, along with three other new explorers, crammed into the smallest taxi in the world, suitcases put onto the roof of the car without being strapped on. The adventure had well and truly begun, and indeed the laughter too! The people of Nepal are friendly and welcoming. So much so it was almost a relief to get back to anonymity of the UK and let my jaw muscles relax from smiling at passersby wherever we went. The people that worked at the house were friendly and inviting and went that extra mile to make our stay as comfortable and relaxing as possible, from asking how our day at the hospital was to helping arrange any extra-curricular activities we wanted to do. I never felt worried about approaching them if I had worries about anything and the food was incredible I literally couldn’t stop eating! 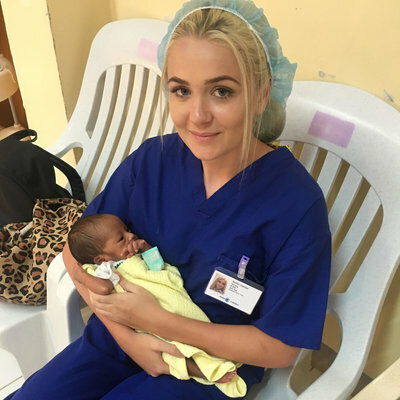 As for my actual placement, I spent time at the government run hospital, in both the paediatric ward and maternity ward and they definitely opened my eyes to life as a normal Nepali citizen, the wonderful and the shocking. Experiences include watching the nurses preparing for a labour...by putting on an apron and wellies! It showed me how family driven the people are and how grateful also for any help they received as many have walked down from the mountains, some journeys taking hours, to see the doctors. It opened my eyes to how privileged and lucky we are and how much we take our healthcare for granted. 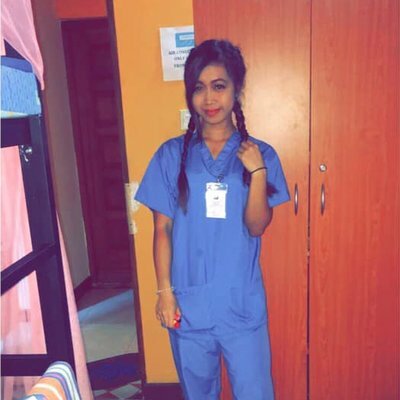 I went as a nursing student in the middle of her training and I have to say the training the nurses receive over in Nepal is, although not evidence based like ours, of such a high standard. One student could even name every single bone in the body! I found great strength in the devotion the nurses showed to the patients, their profession and the team, and this is something I have taken back into my own practice. The village was a different experience altogether. We were thrown into the world of diagnosing and treating anything and everything that villagers came to the health post with. We treated things we had seen and were familiar with in the UK, such as dehydration and the common cold, and things we were less familiar with, such as insects nesting in someone’s chin and a rather questionable toe that had been half cut off with a knife. We spent time watching as a witch doctor chanted to a lady with dehydration and trying to get a moth out of someone’s ear with a feather! We dressed in traditional Gurung clothing and drank so much tea I thought I might burst. Our mornings were spent diagnosing and trying to treat the villagers, the afternoons wandering the village and the evenings using a phrasebook to try to communication with the lovely Ama and Baba who we stayed with. Overall, I can’t speak highly enough of my time in Nepal both on placement and when travelling around. The culture is rangi-changi (colourful in Nepali as taught to us by the awesome if a little eccentric language teacher, Prem) and the people are warm and welcoming. The placement itself was challenging, with highs and lows, but whatever your day the house always offered a safe haven of fun and relaxation. I would recommend this crazy adventure to the future to anyone both for your career and for your health. As they say laughter is the best medicine!